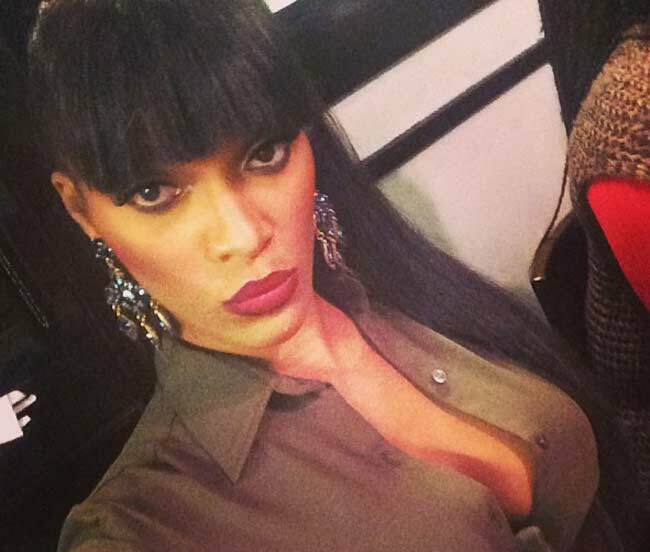 Love & Hip Hop Atlanta reality TV star and Puerto Rican rapper Joseline Hernandez is reportedly wanted by New York police on assault charges following the fight at the reunion show involving herself, her husband Stevie J, Benzino and his fiancee Althea and pretty much the entire cast. As covered on MemphisRap.com, during the reunion show for Love & Hip Hop Atlanta, a huge brawl broke out after Joseline and Stevie J got up out of their seats and confronted Benzino and Althea following alleged jokes they made about the couple. Following Stevie J and Joseline confronting Benzino and his finacee, words turned into a physical fight and the fight turned into a huge brawl involving Joseline, Stevie J, Benzino, Althea, Waka’s momanger Debra, Waka’s wife Tammy and Stevie’s ex Mimi Faust. Later, following the show, Althea reportedly filed a complaint with the police claiming that Joseline assaulted her. Not until now have police took action on Althea’s report and are now seeking to arrest Joseline on the spot, reports TMZ. Meanwhile, certain cast members were reportedly fired including Benzino and Althea with possible other cast members expected to either be placed on temporary or permanent release from the show.